1kg crystal clear bag of unscented red rose petals. 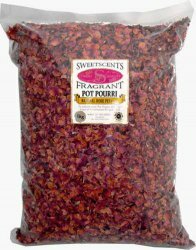 Ideal for weddings or for adding to other pot pourris. Can be scented if required.